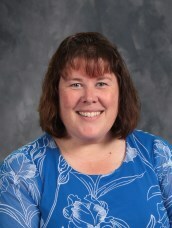 Ms. Ceder is the first grade teacher at Calvary and has been teaching at Calvary for more than 10 years. She has taught for 18 years at different grade levels. She came to Indiana from Wisconsin to attend Hanover College, where she received her B.A. in Elementary Education. She also has a M.S. from Indiana University in Elementary Education with a concentration in early childhood. She enjoys travel and reading, being active with her nieces and nephews, is a novice knitter and loves spending time with her family and friends, including her 5 godchildren.